Mercantile Bank Scholarship Circular 2019. 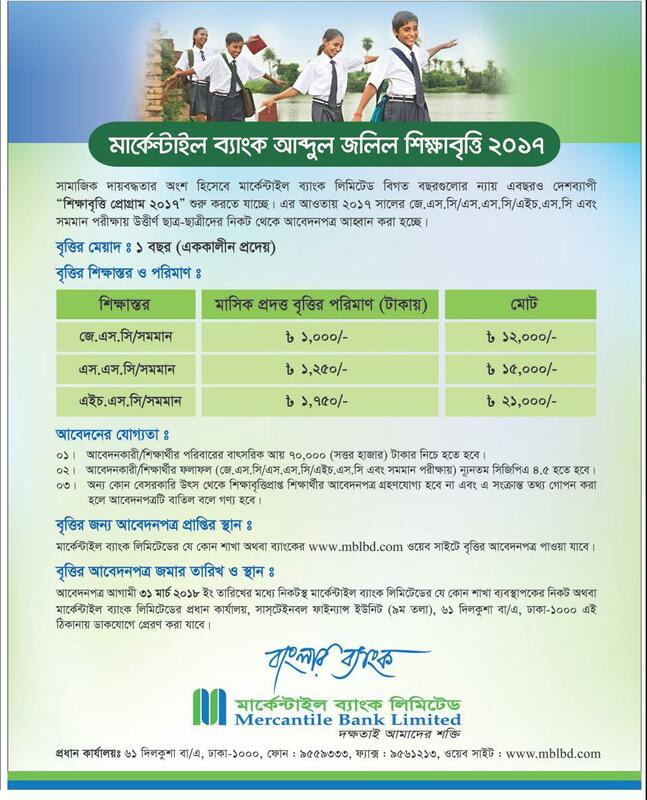 Mercantile Bank Abdul Jalil Education Scholarship 2019. 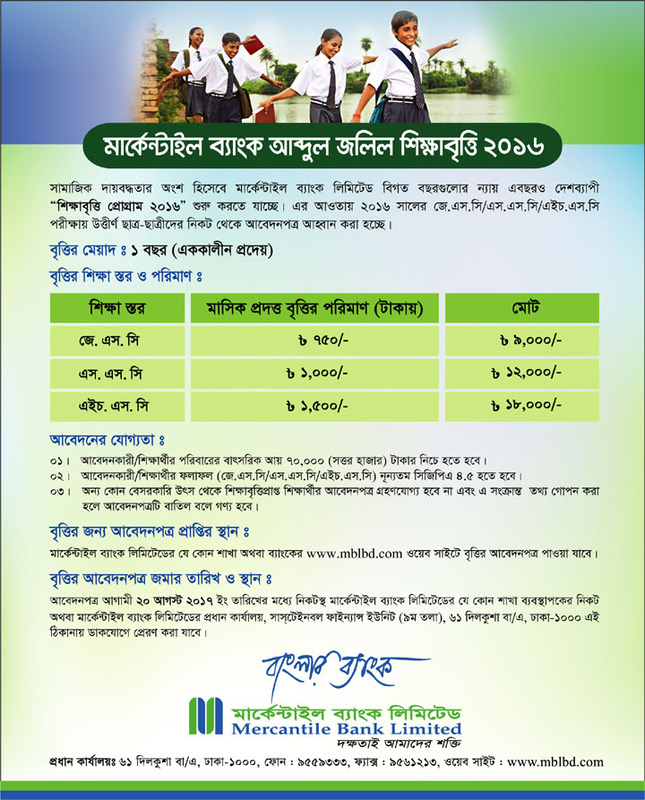 Abdul Jalil Foundation JSC/SSC/HSC Scholarship Circular 2019 has published. Mercantile Bank Scholarship Result 2018. Abdul Jalil Scholarship application last date January 31, 2019. Applicants have to submit their application before deadline at Head Office. 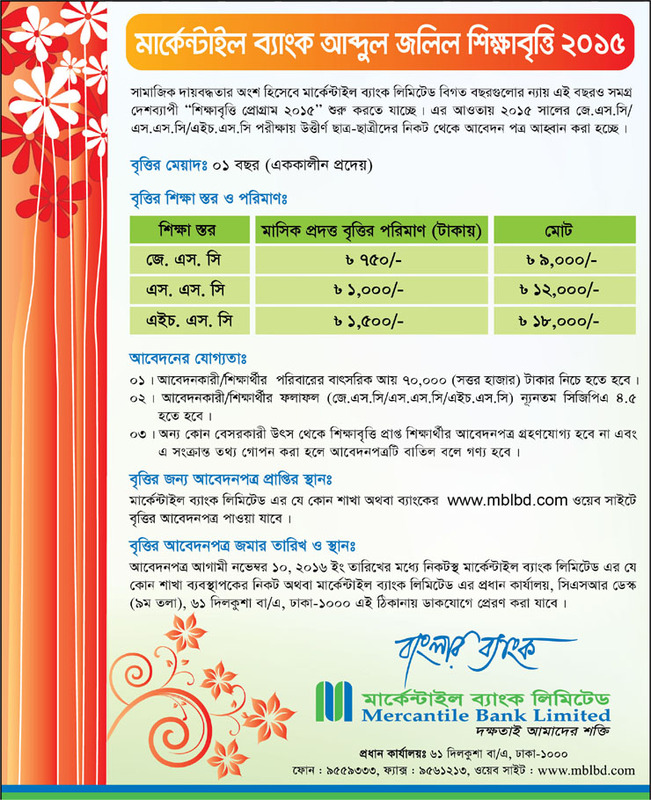 Students can download application form from www.mblbd.com or they can collect form from any branches. As a part of social responsibility, they are going to provide scholarship like last year. Students who pass Junior School Certificate (JSC) or Secondary School Certificate (SSC) or Higher Secondary Certificate (HSC) in 2017, they can apply for this scholarship. 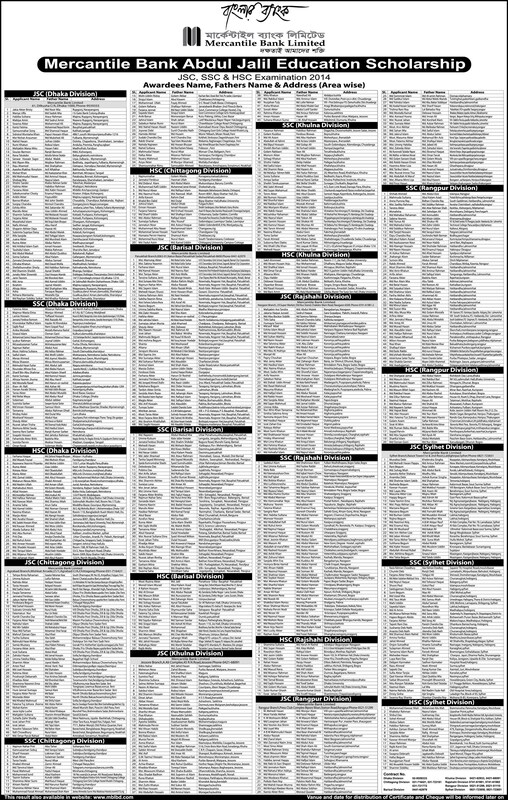 Duly filled up application form have to submit any branch of Bank. Scholarship period 1 year. Applicants whos parents yearly income less than 70 thousand, they can apply. Education qualification GPA 4.5 require.